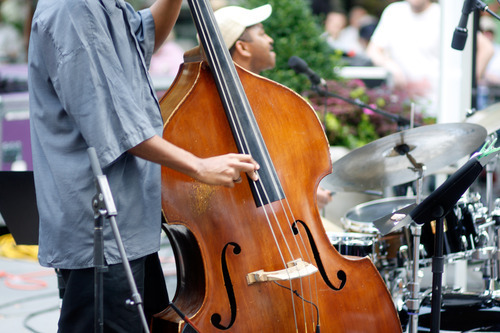 Peabody Award winning radio personality, Bill McGlaughlin, shifts his hosting duties to Bryant Park for a special series of jazz and classical music performances by some of his closest counterparts. Since 2003, McGlaughlin has made learning about music fun with his daily syndicated radio program, Exploring Music with Bill McGlaughlin. On the program, McGlaughlin delves into classical music by providing historical context and sharing his insight as a top-notch musician, conductor, broadcaster, and composer. Join us at Bryant Park for After Work Music with Bill McGlaughlin & Friends, five free Monday evening concerts on the Fountain Terrace, curated and hosted by Bill McGlaughlin. The sensational performances will be accompanied by McGlaughlin’s special insight, personality, and enthusiasm for helping audiences develop a deeper appreciation for music. Jazz with a distinctive flair from four extraordinary players, headlined by the three-time Grammy nominated singer. One of the world’s most sought-after classical music ensembles remains on the cutting edge of programming with wide-ranging commissions from John Harbison to Wynton Marsalis. The world-renowned, Grammy-winning bluegrass, country, and classical fiddler exhibits his multi-genre sounds. The quintet performs incredible classical compositions which encompass blends of European, American, African, and Latin American music. The Grammy nominated flutist and Chamber Music Society of Lincoln Center regular has an incredible repertoire featuring music from many eras.